At some point during the first quarter, I was in another 8th grade math teacher’s support class. The teacher asked me for a number, and I suggested . When someone asked why I chose such a seemingly strange number, I told the class that was my third-favorite number. Again, someone asked why, so I asked everyone to raise each digit to the power of itself and add them all together. After clarifying precisely what I meant, students calculated and were surprised to find their answer to be . I don’t recall exactly what happened next, but my colleague and I ended up briefly discussing how our students have trouble “wondering” about numbers, ideas, and objects in our world. I decided that I needed to challenge my students to wonder. This was the genesis of I wonder… Wednesday. As I thought about ways to get my students wondering, I decided that I would display interesting or strange pictures on the screen and ask everyone what they wondered. At first, I tried to find pictures that would lend themselves to “wonderings” with a mathematical bent, but I soon began to include pictures that might not have any obvious mathematical properties or concepts attached to them. I saw I wonder… Wednesday as about more than just math. It was an opportunity for students to think about their world and all of the incredible things that happen on it. Here is a sampling of I wonder… Wednesday images and notable responses. Racing – This might be my favorite picture ever. Sand sculpture – Amazing! Many students wondered how long this took to make. An interesting lady – This picture speaks for itself! 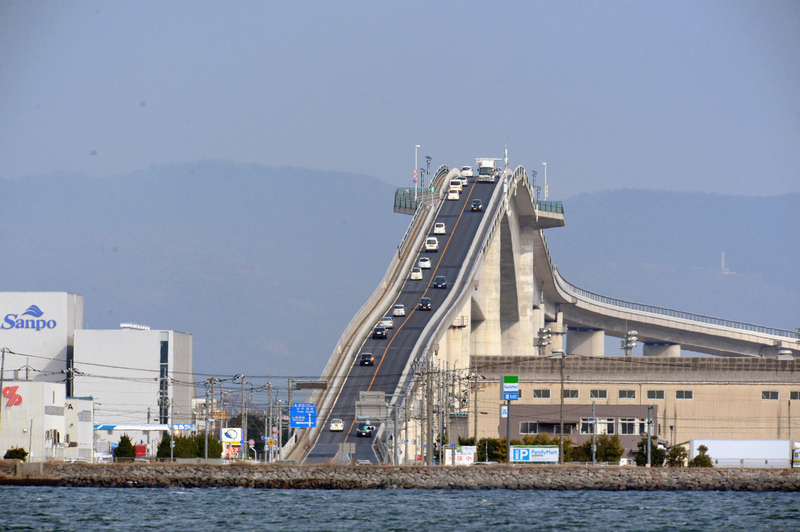 Bridge – Good questions about steepness, height, and speed. Overall, I loved the questions my students asked. My students impressed me with the thoughtfulness of their “wonderings.” Many of them truly wanted an explanation for a certain phenomenon, a more detailed description of an object or location, or the context and background knowledge needed to interpret the picture. Perhaps the best part of I wonder… Wednesday was seeing students who rarely participated raise their hands and share their thoughts about an image. Whether insightful, funny, or just weird, the “wonderings” my students offered made for an awesome last five minutes each Wednesday we did this. Interestingly, student response to I wonder… Wednesday was bimodal – they tended to love it or to hate it. Many students loved seeing what crazy pictures I found each week, even if they didn’t volunteer any questions. And quite a few students pushed themselves to wonder about every single image. Other students, however, found this activity entirely pointless. One student complained that she came to class to learn math, so I wonder… Wednesday was a waste of her time. On their end-of-year reflections, students responded that I should keep I wonder… Wednesday just as frequently as they suggested that I get rid of it. I guess strong reactions are better than no reaction at all! So what, if anything, should I change about I wonder… Wednesday? I’ve thought about pushing students to ask more mathematical questions. I’ve also considered only displaying a single picture, coming up with a good mathematical question to ask, and estimating an answer. To be honest, though, I think these changes would diminish I wonder… Wednesday. Part of this activity’s joy lies in escaping math for a few minutes and just thinking about the world. I told my students once that it’s not too much to spend five minutes a week doing something unrelated to math that is good for their brains. I stand by that statement. Although I may do I wonder… Wednesday less frequently, it will definitely be part of my classroom this coming school year.